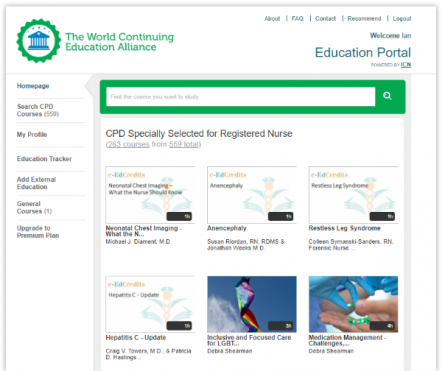 The International Council of Nurses' (ICN) global education initiative provides your nurses with instant access to thousands of CE courses from the world's best educators. For those in need of a complete LCMS solution connected to the ICN network of courses. Already have an LMS? Select courses from the catalog and upload them directly to your existing LMS. Nurses are the foundation of patient healthcare. Investing in their knowledge is key to developing their full potential and positively impacting outcomes for patients. Together with the International Council of Nurses (ICN), the WCEA has launched a global education initiative. This has resulted in the creation a large global resource of thousands of courses from leading nursing educators such as the Royal College of Nurses, John Hopkins University and many other internationally recognized CE providers. The objective of the initiative is to improve global healthcare by empowering nurses with the highest-quality CE. Discover a complete Learning and Content Management System (LCMS) which is connected to the ICN network of nursing courses. We take your privacy seriously and will never share your details with anyone else. Request Your LCMS Solution Demo! The ICN network is filled with education supplied by the leading global CE providers at a cost that's never been possible before. The ICN catalog allows you to upload courses directly to your existing LMS. 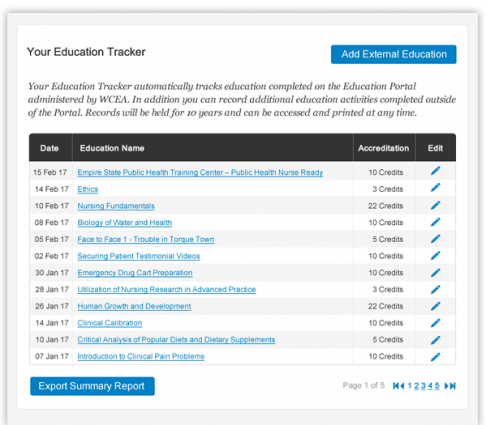 This gives you the freedom to choose whether to take the entire catalog or to pick and choose only the courses that your nurses need. Enjoy total flexibility to suit your precise learning and budgetary requirements. Already have an LMS? No problem! Request Your ICN Catalog Demo! The ICN education initiative has made it possible for nurses to access courses from the world's best educators at a price that's never been possible before. 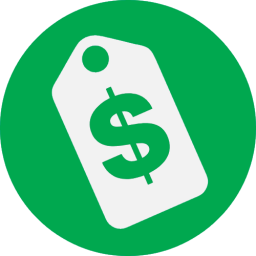 This allows you to offer your nurses the highest quality courses at a fraction of what it would cost to either create on your own or to purchase from other third parties. The ICN network of education provides a simple, affordable, central resource to stay up-to-date with that latest thinking, protocols and procedures. Concerned about your budgets? Don't be. Book Your Demo Of The ICN Education Initiative!